Childhood friends, Darek Bell and Andrew Webber, began homebrewing beer and wine in Darek and Amy Lee Bell’s garage. They hit a snag while working on a prototype bio-diesel plant, causing Andrew to remark that making whiskey would be much more satisfying. The idea stuck, and the two soon found themselves studying distilleries and spirits. 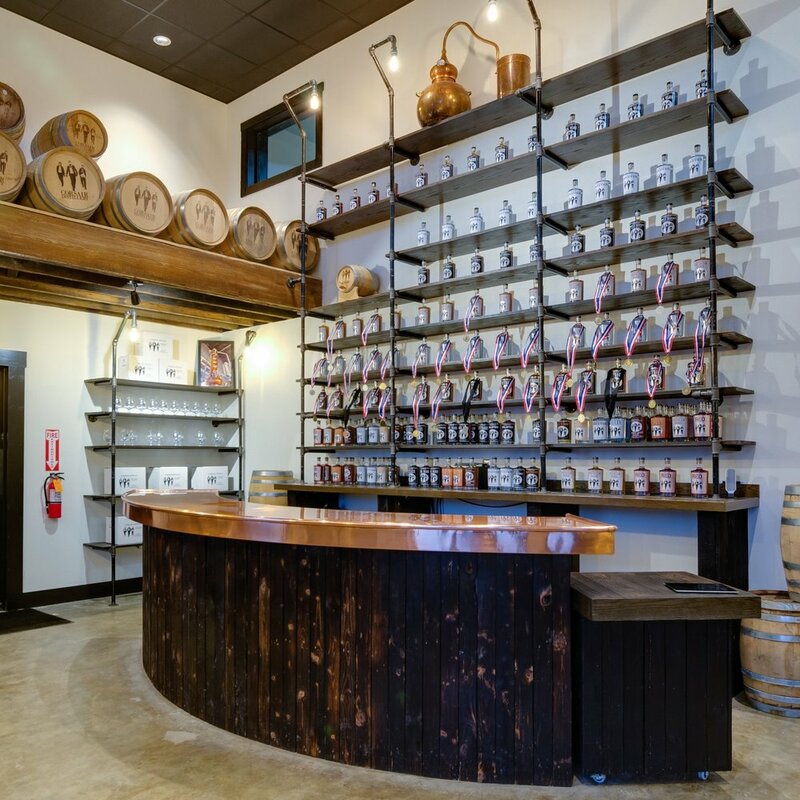 Soon after, in 2008, Corsair Distillery was founded in Bowling Green, KY. By 2010, Corsair set its marks where it all started, becoming the first craft distillery in Nashville since prohibition. 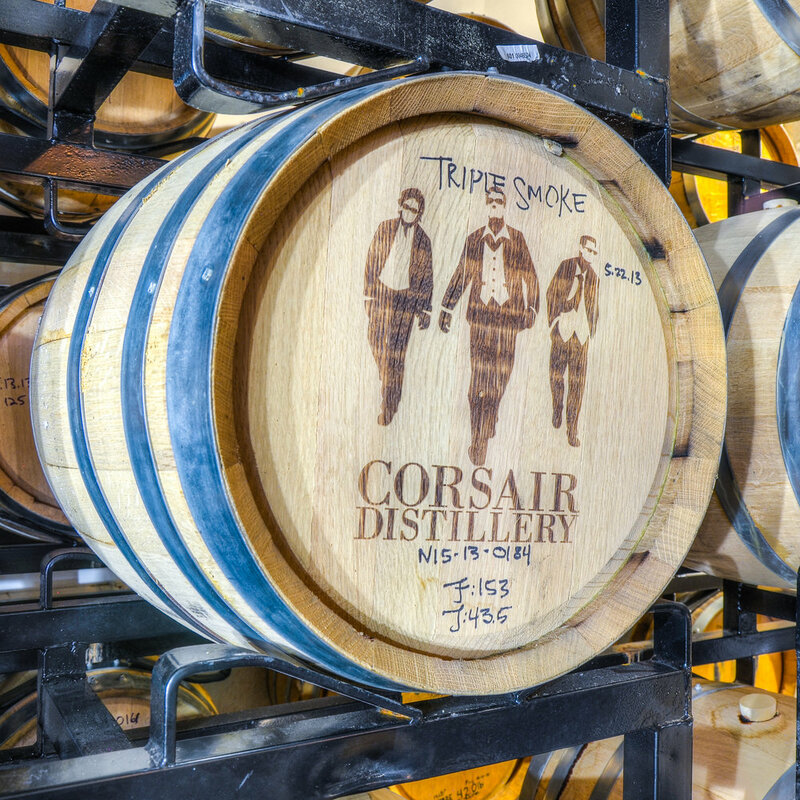 Corsair’s spirits have been praised in publications like Food and Wine, Saveur, Imbibe, Whisky Magazine, Whisky Advocate, the Atlantic, Time Out New York, and Maxim.com. Corsair’s innovative and adventurous spirits have won over 800 medals at national and international spirits competitions. As Nashville has grown, Corsair has grown with it. With two Nashville natives at the head of the business, Corsair has expanded greatly since its arrival in 2010. In January 2016, Corsair opened its doors to a second Nashville location, the WeHo Headquarters. Not only did this move create office spaces and more barrel storage, but it allowed for the creation of craft whiskey on a higher production scale. This gave Corsair the opportunity to produce more small batch craft beers at, what is now called, the Marathon Village Brewstillery. Now, not only can you get craft spirits from Corsair, but also craft beers. Utilizing local farms and Corsair's local malthouse and smokehouse, we strive to put "Nashville in a bottle". And as tourism booms and more and more people are moving into Nashville, we only continue to grow around the city we love. To get a closer look at what we are doing here at Corsair, stop by one of our locations for a tour. We hope to see you soon - cheers!